The Office of the Legal Adviser plays a central role at various stages of the standard-setting process, including the elaboration, adoption and the interpretation of international labour Conventions and Recommendations. International labour standards are legal instruments drawn up by the ILO's constituents (governments, employers and workers) with a view to setting out basic principles and rights at work and to regulate other areas of the world of work. These standards primarily take the form of Conventions and Recommendations. The ILO also adopts other legal instruments, such as Declarations and Resolutions containing formal and authoritative statements reaffirming the importance which the tripartite constituents attach to certain principles and values. 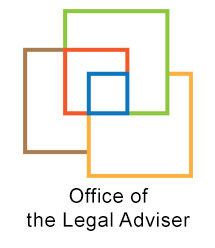 The Office of the Legal Adviser, together with the International Labour Standards Department and the technical units concerned, as the case may be, ensures that the intentions of the tripartite constituents are faithfully translated into legal terms and is responsible for ensuring the drafting quality of the legal instruments submitted to the International Labour Conference for discussion and adoption, as well as the consistency with existing instruments. To this effect, it reviews all Office reports which serve as a basis for the Conference discussions leading to the adoption of new international labour standards; services the technical Conference committees examining these draft normative texts; coordinates Committee drafting Committee that is responsible for ensuring the drafting quality of the instrument in both English and French, and the Conference drafting Committee, which prepares the final and authentic texts of instruments adopted by the International Labour Conference. A Manual for drafting ILO instruments has been developed to serve as reference guide for all those involved, directly or indirectly, in the process of drafting international labour standards. More information on internal instructions concerning the preparation of international labour standards may be found in Circular No. 186, Series 2. The Office of the Legal Adviser establishes the authentic texts (and certified copies) of ILO Conventions and Recommendations, verifies the authenticity of instruments of ratification and instruments of denunciation of Conventions for the purposes of their registration and, in coordination with the International Labour Standards Department, ensures their registration with the United Nations. Article 19, paragraph 5(d) of the ILO Constitution provides that “if the Member obtains the consent of the authority or authorities within whose competence the matter lies, it will communicate the formal ratification of the Convention to the Director-General and will take such action as may be necessary to make effective the provisions of such Convention”. No specific requirements as to form are laid down in the ILO Constitution. Each member State has its own constitutional provisions and practice. Nevertheless in order to be registered, an instrument of ratification must: (a) clearly identify the Convention being ratified; (b) be an original document (on paper, not a facsimile or photocopy) signed by a person with authority to engage the State (such as the Head of State, Prime Minister, Minister responsible for Foreign Affairs or Minister of Labour); (c) clearly convey the Government’s intention that the State should be bound by the Convention concerned and its undertaking to fulfil the provisions of the Conventions, preferably with a specific reference to article 19(5)(d) of the ILO Constitution. An instrument of ratification in these terms needs to be communicated to the ILO Director-General, in order for the ratification to become effective in international law. If this is not done, it may be that a Convention is regarded by a State as “ratified” in its internal legal system, but it will produce no effect at the international level. An instrument of ratification should typically contain the following statement: “The Government of ... hereby ratifies the ... Convention adopted at the … ILC Session and undertakes, in accordance with article 19, paragraph 5(d) of the ILO Constitution to fulfil its obligations in this respect”. As a matter of well-established principle, ILO Conventions may not be ratified subject to reservations. Although Conventions contain various provisions ensuring flexibility, including some that specifically enable ratifying States to limit or qualify the obligations assumed on ratification, no limitations on the obligations of a Convention other than those specifically provided for are possible. The inadmissibility of reservations, as explained in the 1951 Memorandum submitted by the ILO to the International Court of Justice in the Genocide Case, is based on the premise that "the rights which the treaties have conferred on non-governmental interests in regard to the adoption of international labour Conventions would be overruled if the consent of governments alone should suffice to modify the substance and detract from the effect of the Conventions” (para. 20). Every Convention contains a provision determining the conditions under which States parties to that Convention may denounce it, thus terminating the obligations arising from ratification. In general, denunciation is possible after an initial period of ten years from the Convention's entry into force, but only within one year after the expiration of the period of ten years (known as denunciation window). Denunciation becomes again possible at ten year intervals thereafter. Denunciation of an International Labour Convention requires a formal instrument communicated to the ILO Director-General for registration. The conditions concerning the form and content of such an instrument are the same as those governing ratification. More detailed information on the procedure of ratification and denunciation of ILO Conventions may be found in the Handbook of procedures relating to International Labour Conventions and Recommendations. Up-to-date information on the status of ratification of ILO Conventions may be found in the NORMLEX database. The Office of the Legal Adviser, together with the International Labour Standards Department and the technical unit(s) concerned, as the case may be, provides informal opinions on the meaning and scope of provisions of Conventions and Recommendations adopted by the International Labour Conference. Requests for informal opinions may be made by governments of member States, whether they have ratified the Convention concerned or not, as well as by employers’ and workers’ organizations. Informal opinions are provided with the reservation that the ILO Constitution confers no special competence on the Office to give an authentic interpretation of the provisions of international labour Conventions and that any decision as to conformity of national legislation and practice with a particular Convention lies in the first instance with the government of the country concerned, subject, in the case of a ratified Convention, to the views of the supervisory bodies of the ILO. The procedure to be followed in preparing informal opinions is set out in Circular No. 40, Series 9. Under article 37(1) of the ILO Constitution, “[a]ny question or dispute relating to the interpretation of this Constitution or of any subsequent Convention concluded by the Members in pursuance of the provisions of this Constitution shall be referred for decision to the International Court of Justice”. Additionally, article 37(2) of the ILO Constitution provides, “. . . the Governing Body may make and submit to the Conference for approval rules providing for the appointment of a tribunal for the expeditious determination of any dispute or question relating to the interpretation of a Convention”. More detailed analysis of the modalities and scope of action under article 37 of the Constitution was provided to the 322nd Session of the Governing Body (November 2014). This Quick Guide to the Manual for drafting ILO instruments (ILO, 2006) aims to assist delegates and advisers in technical committees of the International Labour Conference that examine draft instruments. This Quick Guide supplements the full Manual.